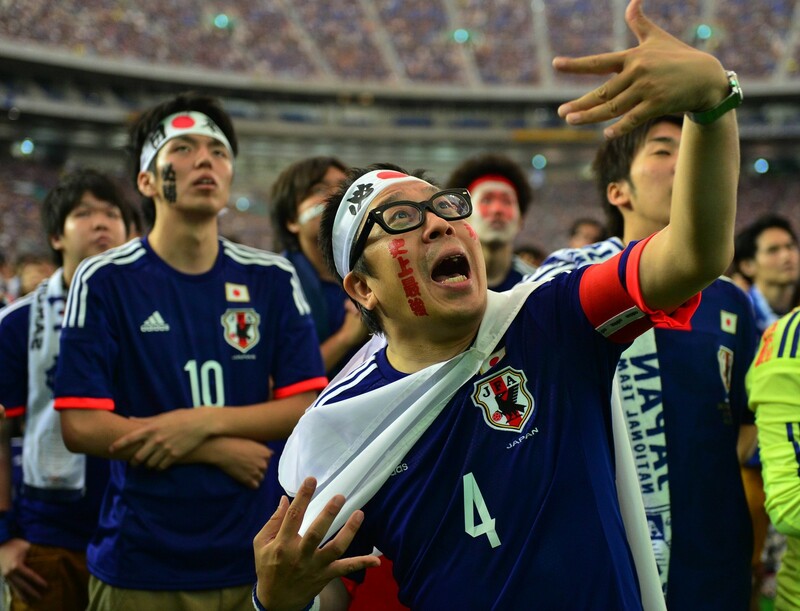 SAO PAULO - Chants of "Nippon!" 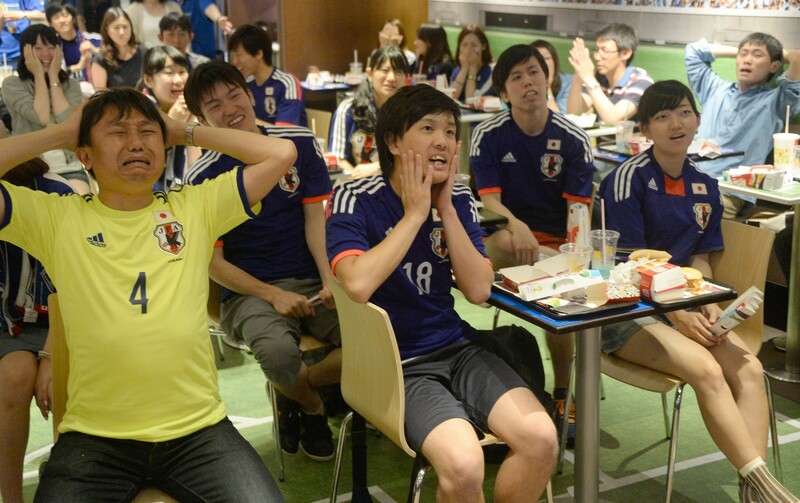 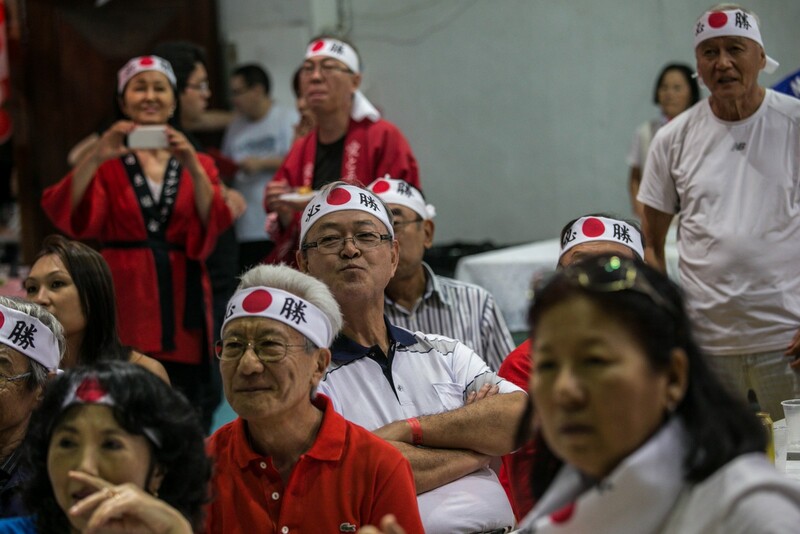 broke out in a Japanese-Brazilian cultural centre in Sao Paulo as 300 fans cheered on the Asian team in their World Cup game against Ivory Coast. 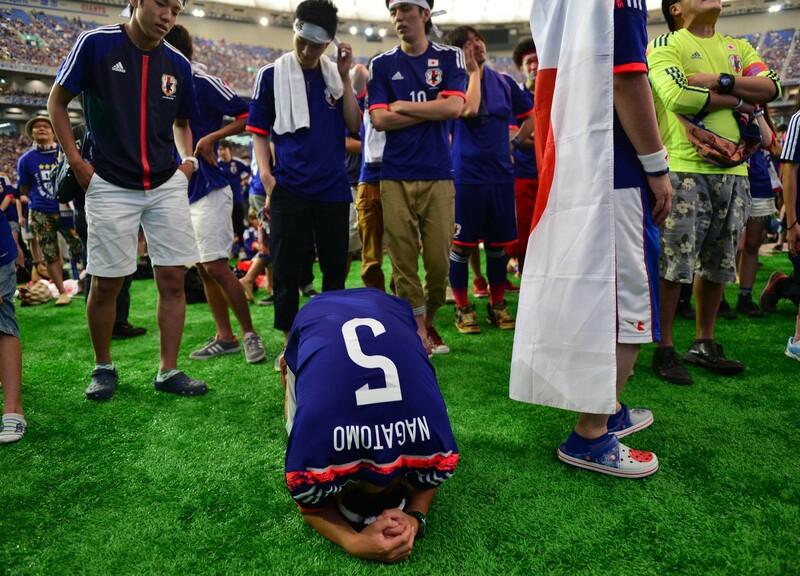 But make no mistake. 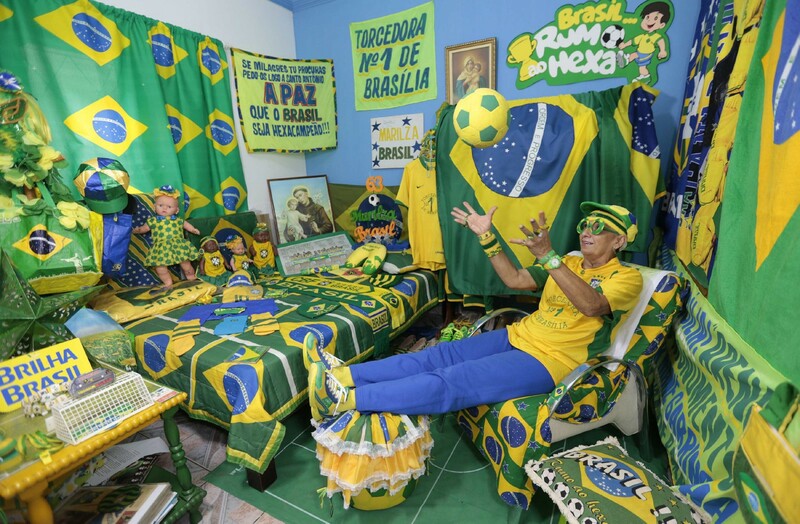 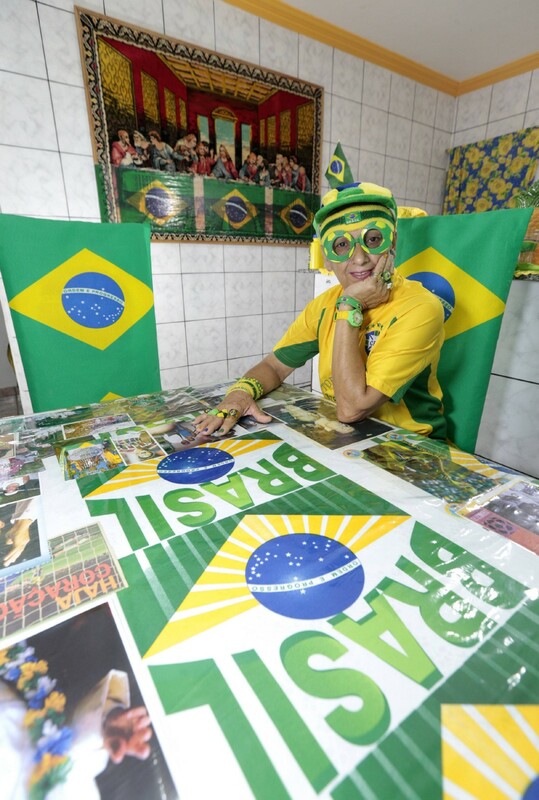 If his dream final in Rio de Janeiro's Maracana stadium comes true, he wouldn't hesitate: "I would cheer for Brazil." 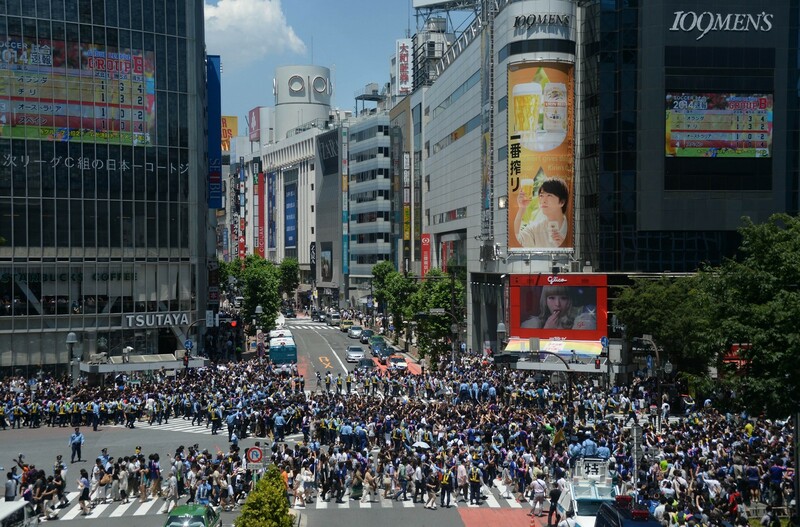 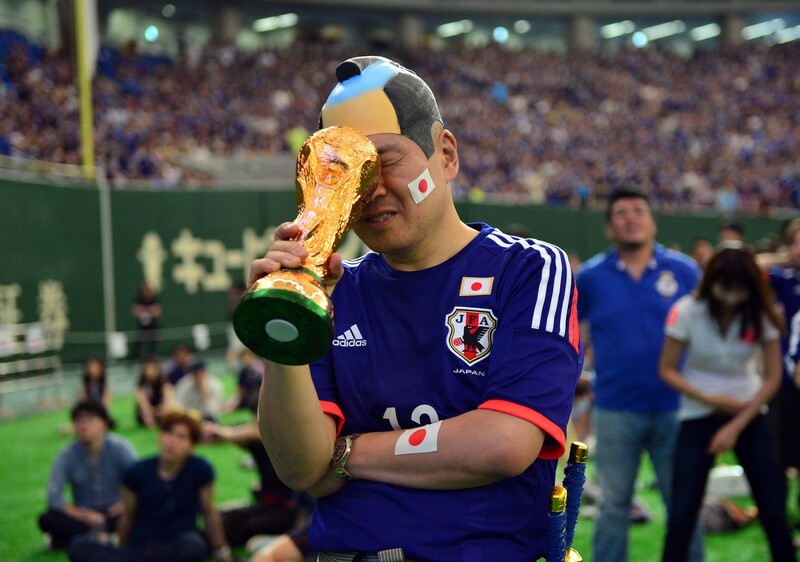 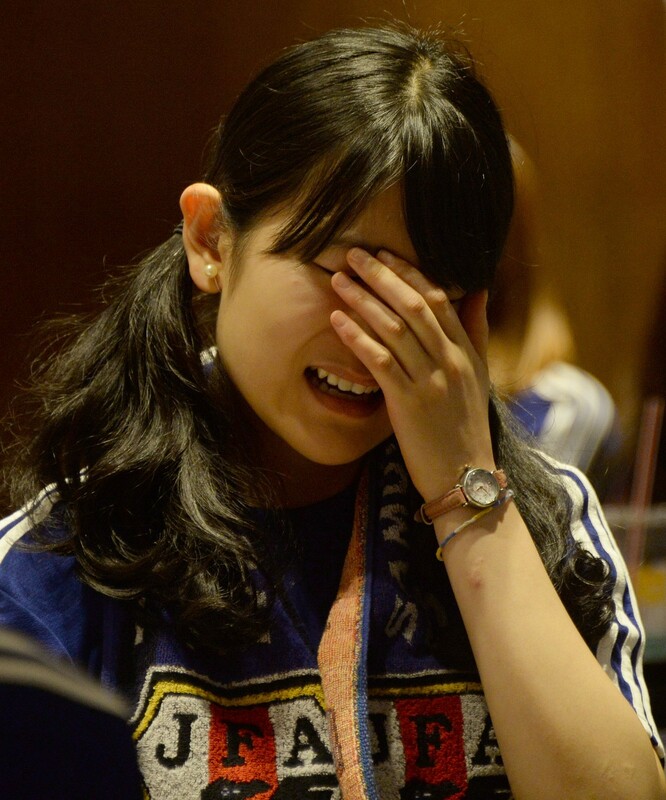 Just as Brazil's Selecao is a symbol of national identity, supporting the Blue Samurai is a way for Brazilians of Japanese descent to reconnect with their ancestors' homeland. 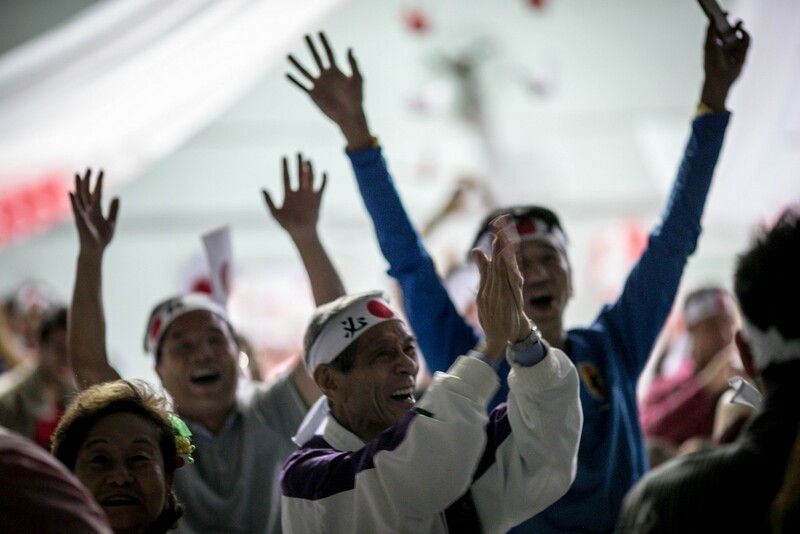 The crowd at the cultural centre watched the game on a big screen in a room decorated with paper lanterns in the colors of Brazil and Japan. 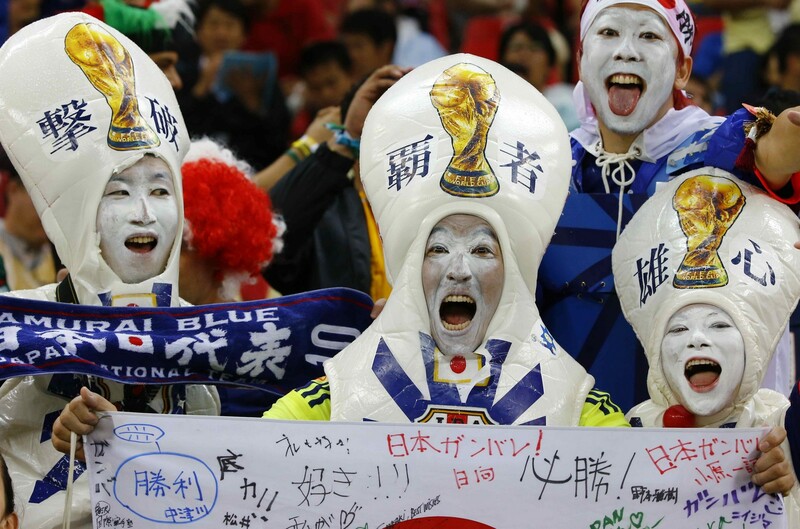 Brazil is home to the world's largest Japanese community outside Japan, with some 1.8 million people of Japanese descent. 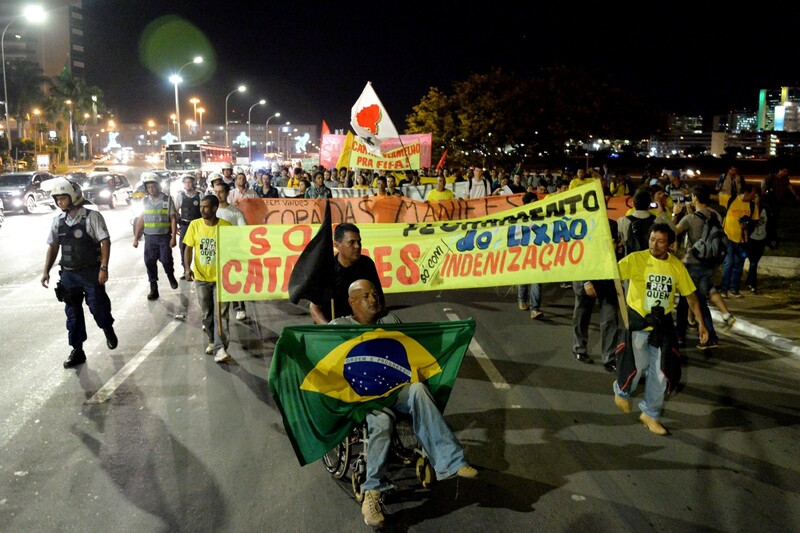 About 60 per cent live in Sao Paulo state. 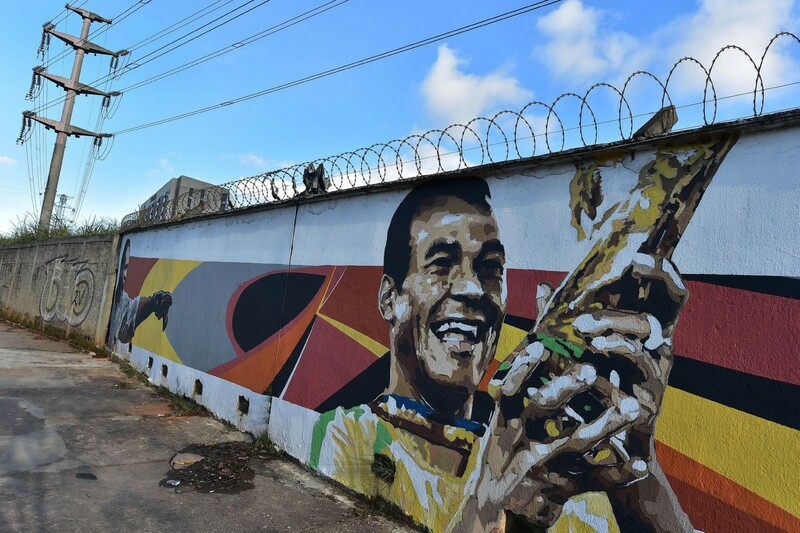 The cultural centre is located in a Sao Paulo district called Liberdade, a neighborhood lined with red Japanese-style street lights, restaurants serving tempura and shops selling anime videos. 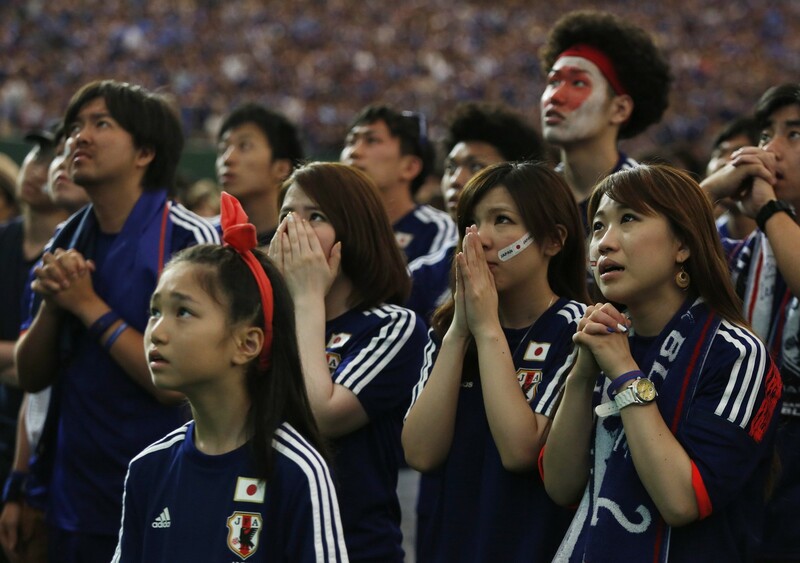 Claudio Kurita, director of the Japanese-Brazilian cultural centre, said having Japan play in Brazil was a chance for migrants to feel closer to their ancient land. 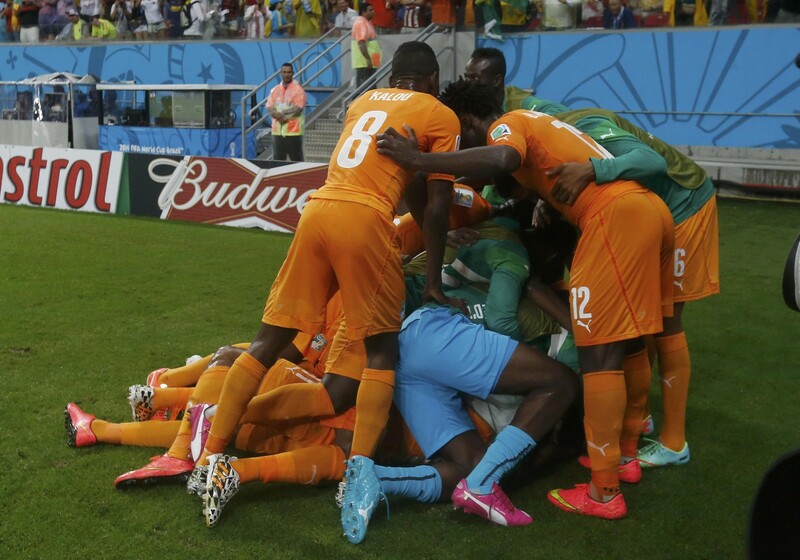 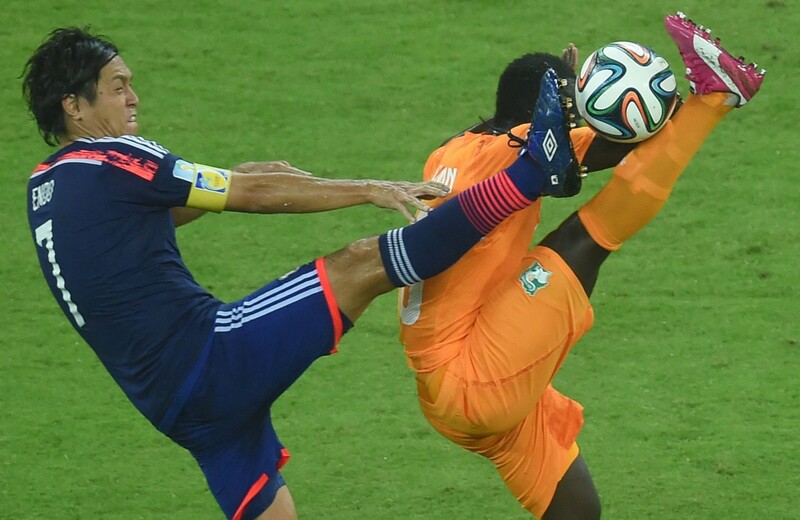 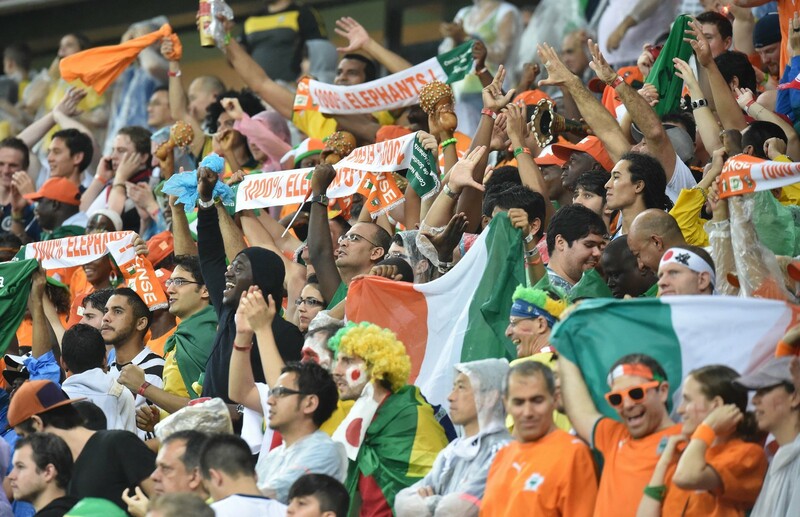 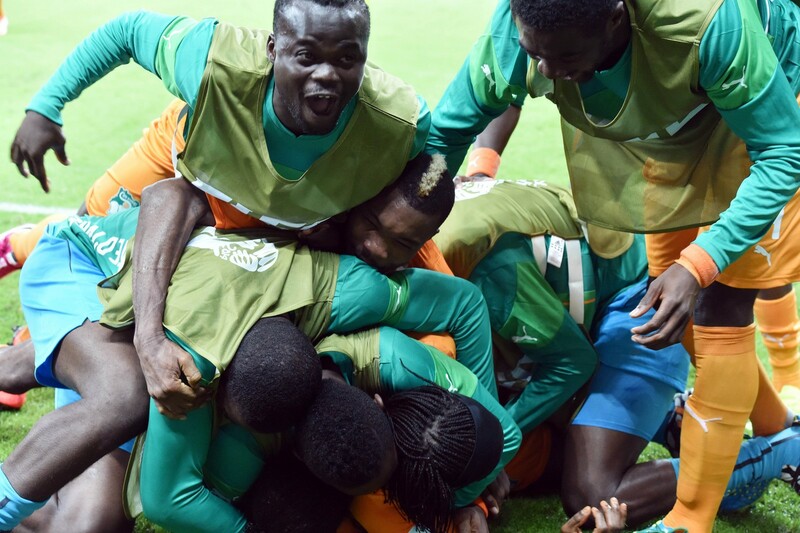 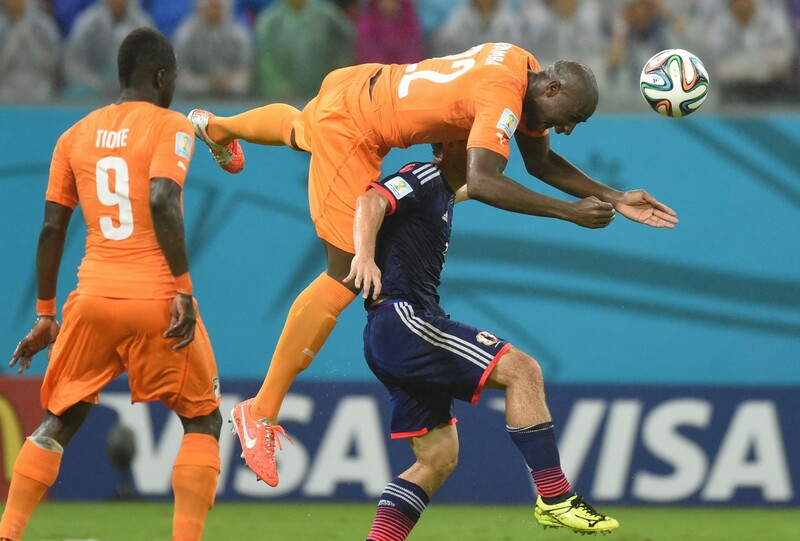 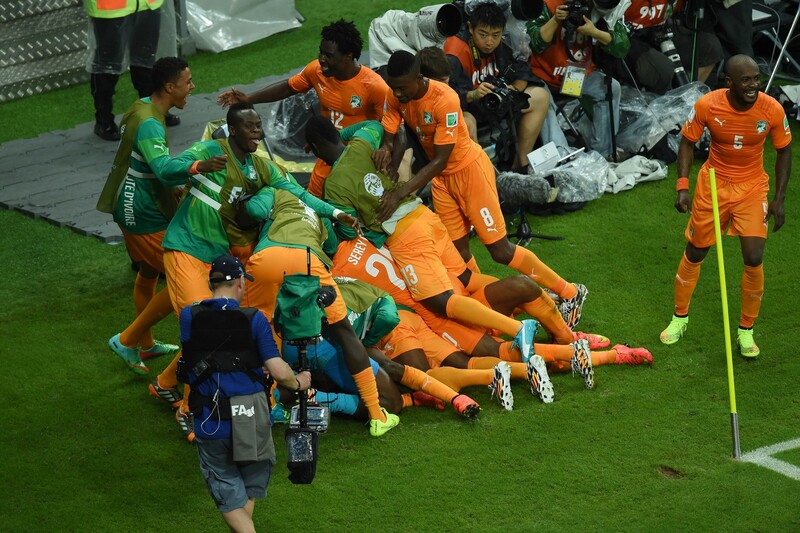 Two sharply-headed goals within three second-half minutes gave Ivory Coast a 2-1 Group C victory over Japan as the World Cup's four-game "Super Saturday" concluded with yet another hugely entertaining match. 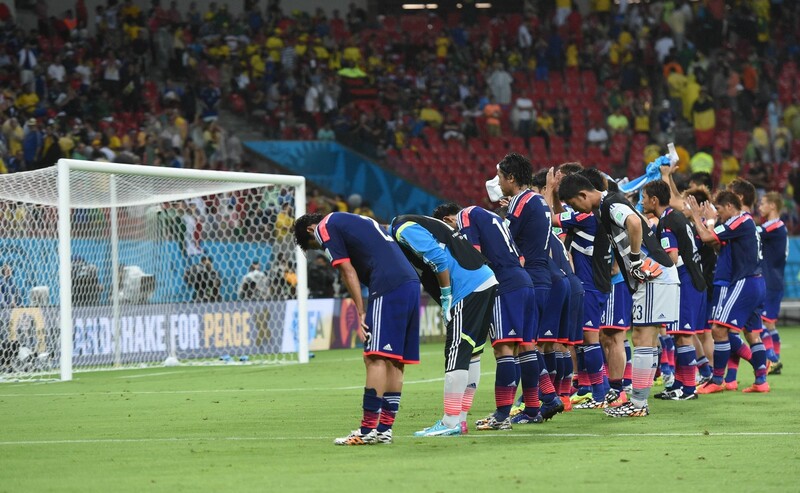 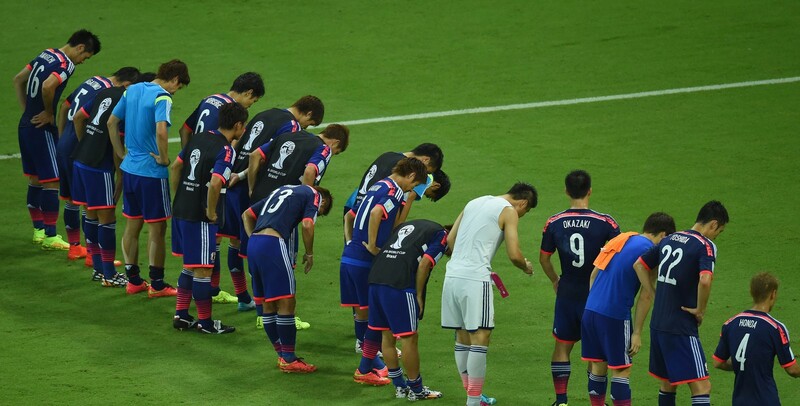 Keisuke Honda's fierce left-foot drive after 16 minutes had Japan ahead, but the introduction of substitute Didier Drogba just after the hour seemed to lift the Africans and almost immediately they turned the game on its head. 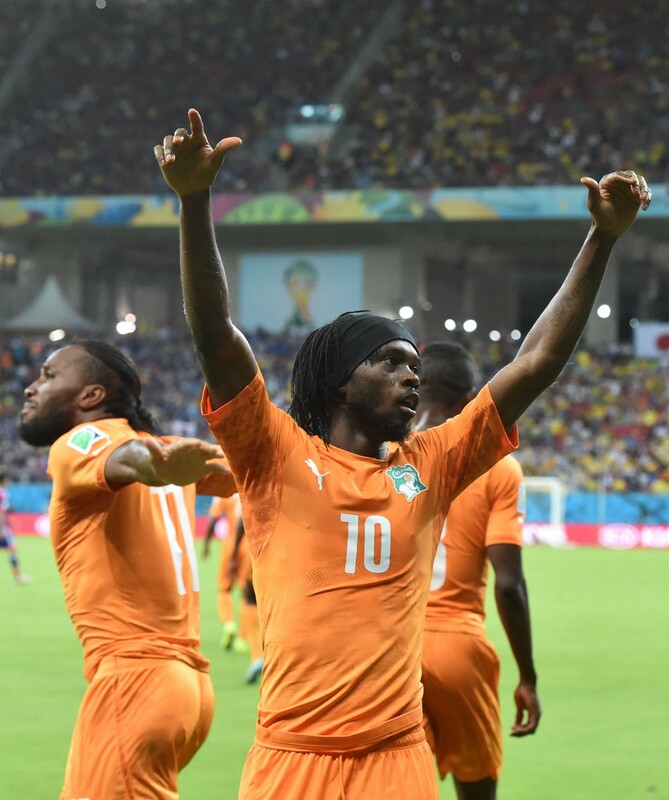 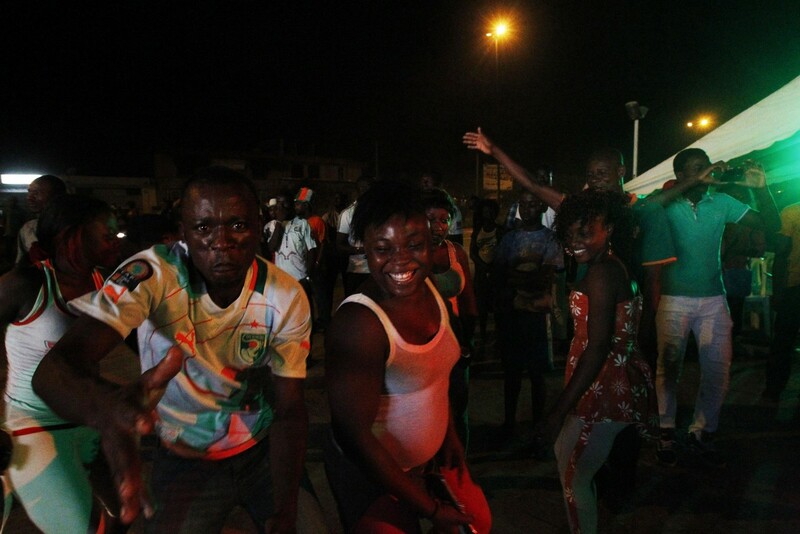 Wilfried Bony headed the equaliser after 64 minutes and the Ivorians had only just concluded their dancing celebrations when Gervinho glanced in the second, both goals coming from pinpoint crosses by Serge Aurier. 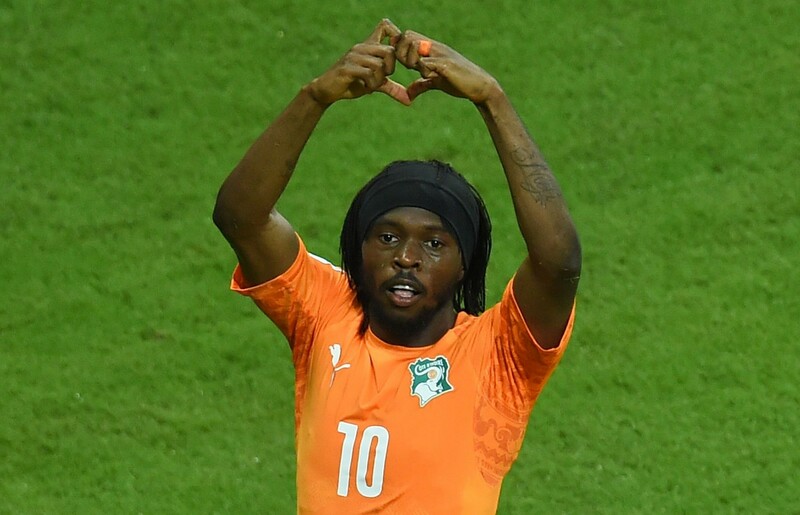 Ivory Coast join Colombia on three points atop the open-looking group after Colombia's 3-0 victory over Greece earlier on Saturday, and the Ivorians will be growing in confidence that they can reach the knockout stages for the first time. 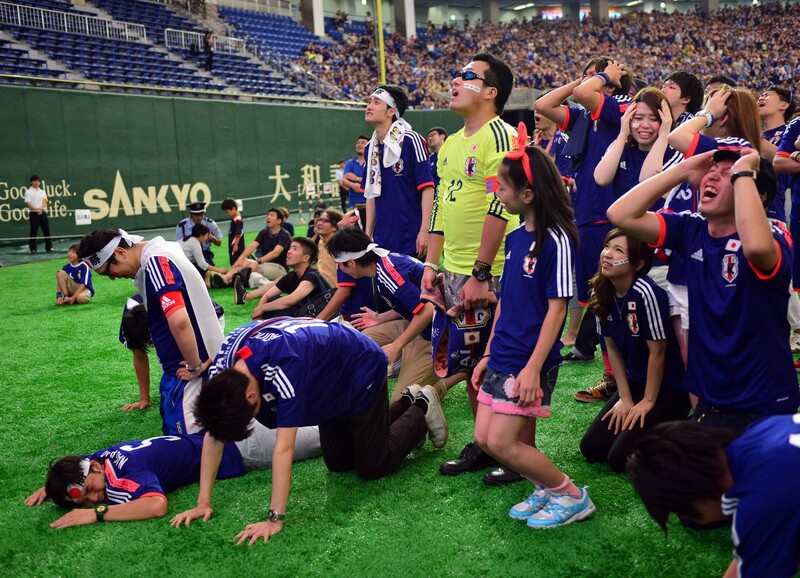 Chants of "Nippon!" 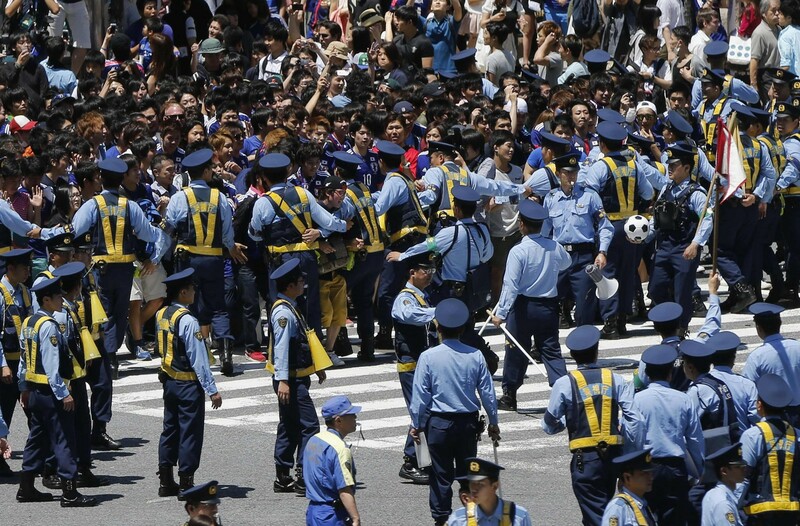 broke out in a Japanese-Brazilian cultural centre in Sao Paulo as 300 fans cheered on the Asian team in their World Cup game against Ivory Coast. 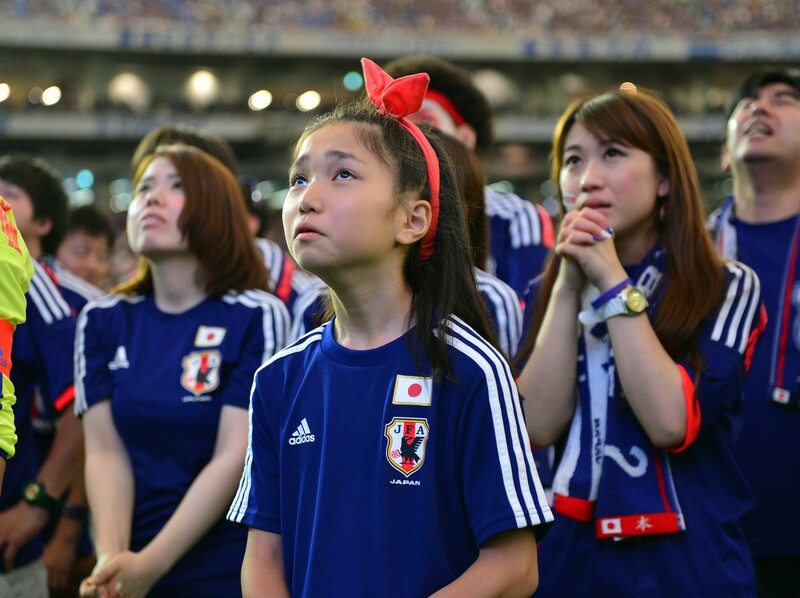 Brazil is home to the world's largest Japanese community outside Japan, with some 1.8 million people of Japanese descent. 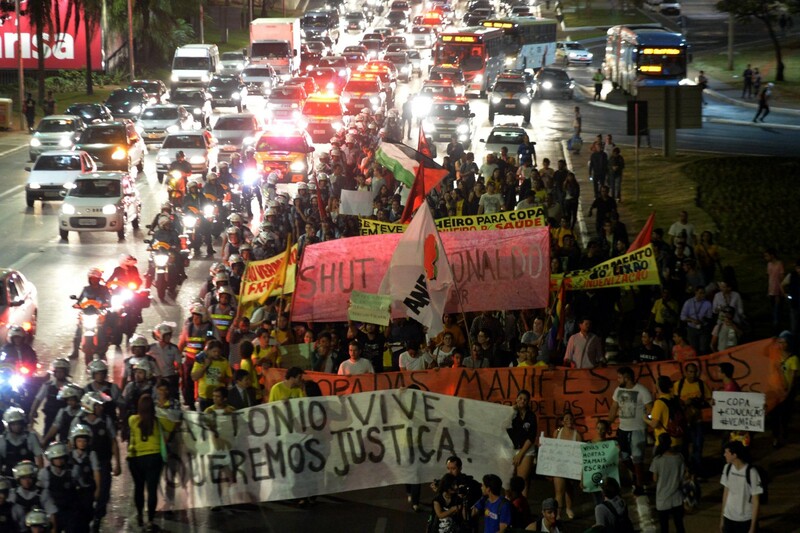 About 60 per cent live in Sao Paulo state. 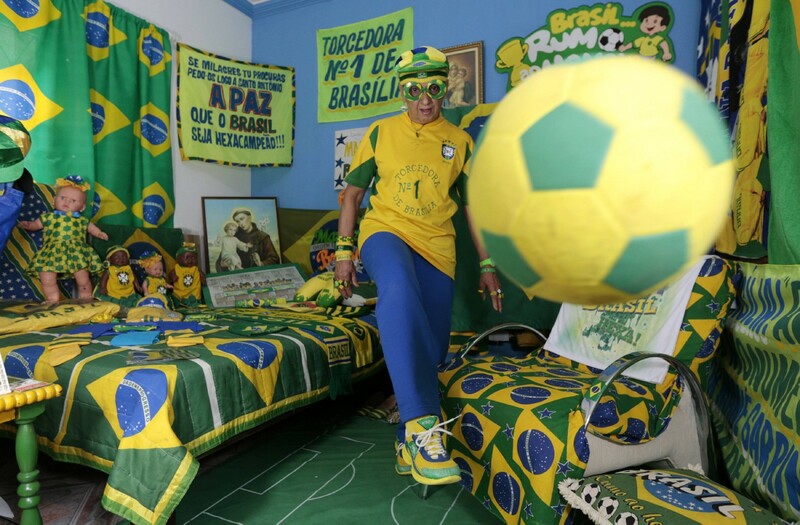 Football fan Marilza Guimaraes da Silva, 63, plays with a ball as she poses for a picture, dressed in one of her many outfits matching the colours of the national flag at her home in Brasilia, the capital of Brazil. 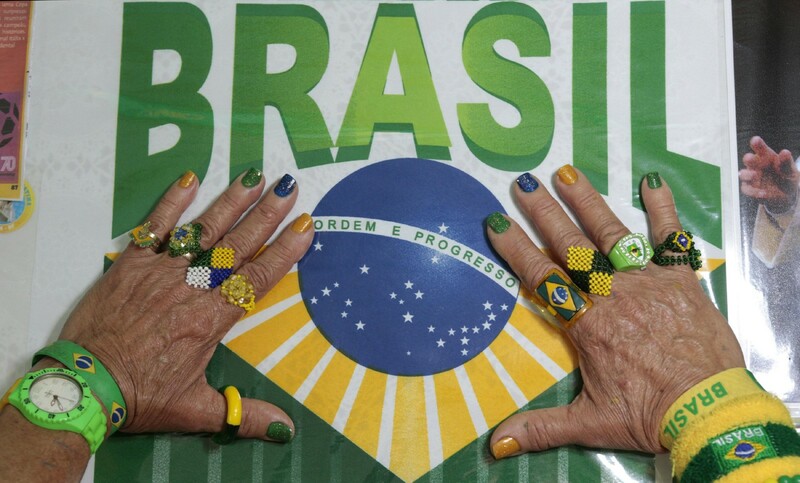 Football fan Marilza Guimaraes da Silva, 63, holds up her hands decorated with accessories in Brazil's national colours. 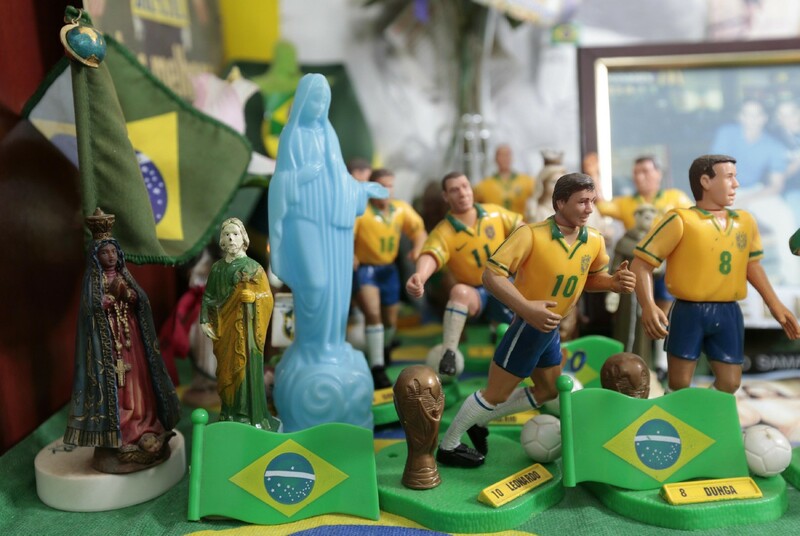 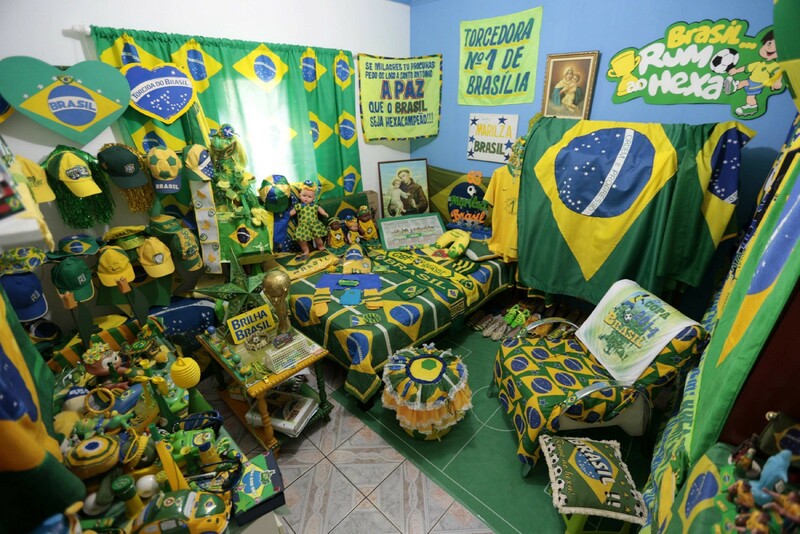 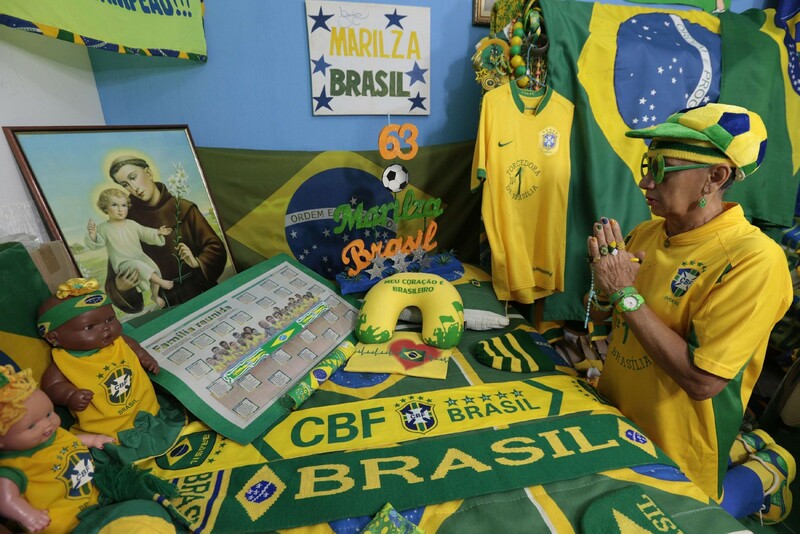 Religious figurines are seen beside figurines of football players at the house of Brazilian football fan Marilza Guimaraes da Silva, 63. 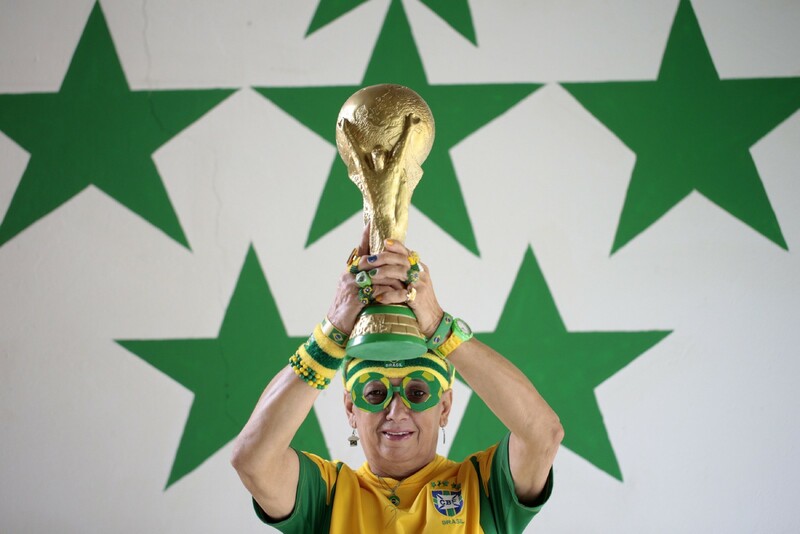 Marilza Guimaraes da Silva holding up a replica of the World Cup trophy. 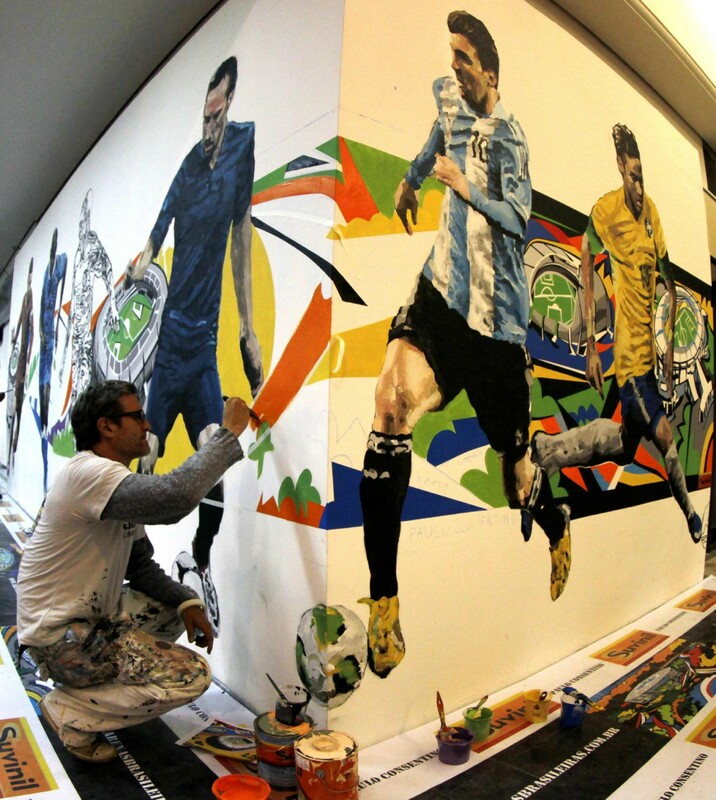 Artist Paulo Consentino works on a mural in celebration of the 2014 World Cup at Congonhas airport in Sao Paulo, which will host the opening ceremony. 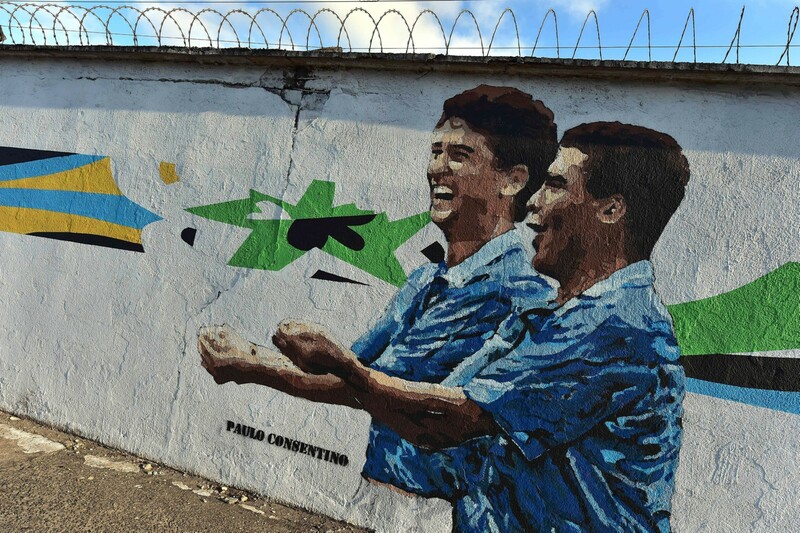 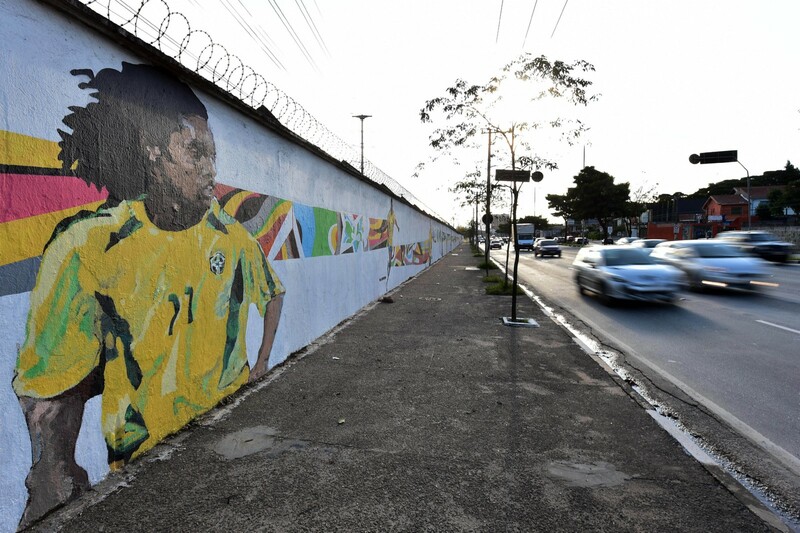 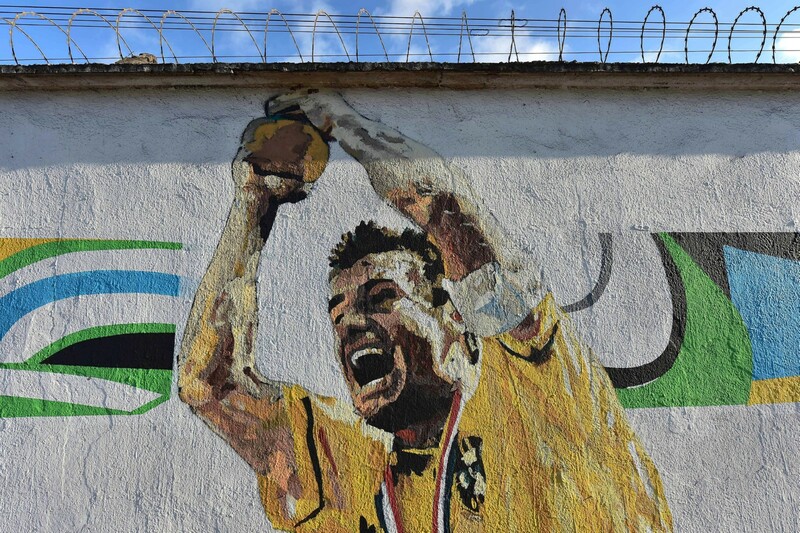 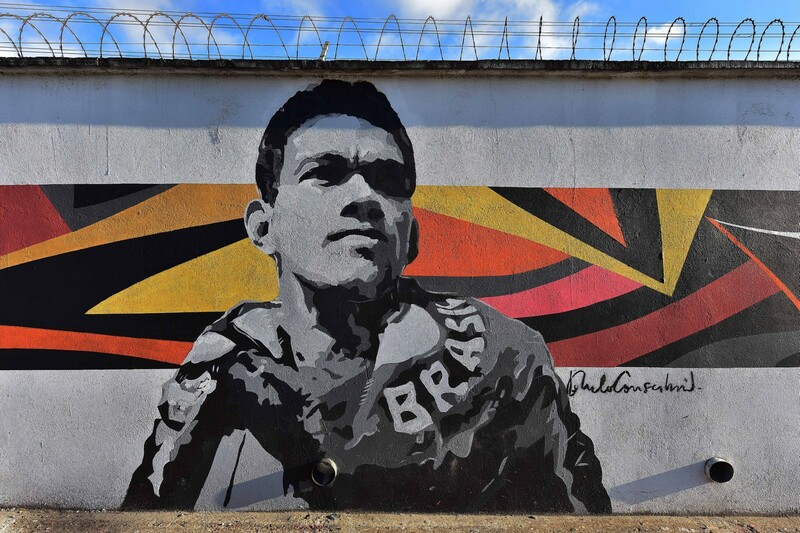 A graffiti depicting Brazilian football star Garrinhcha, painted by Brazilian street artist Paulo Consentino in celebration of the FIFA 2014 World Cup, is seen on a perimeter wall of the Congonhas airport in Sao Paulo. 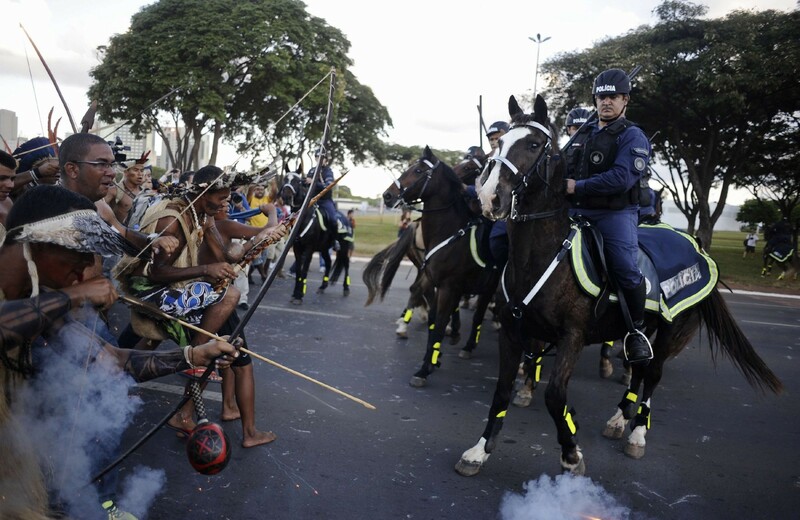 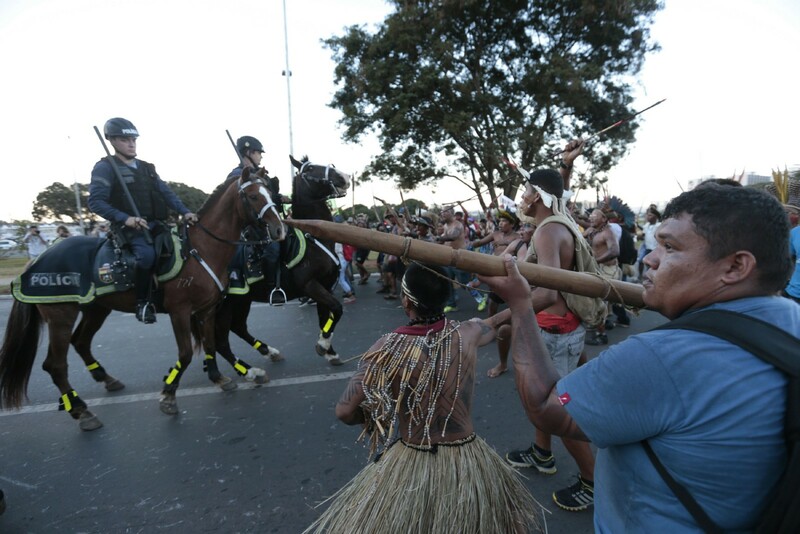 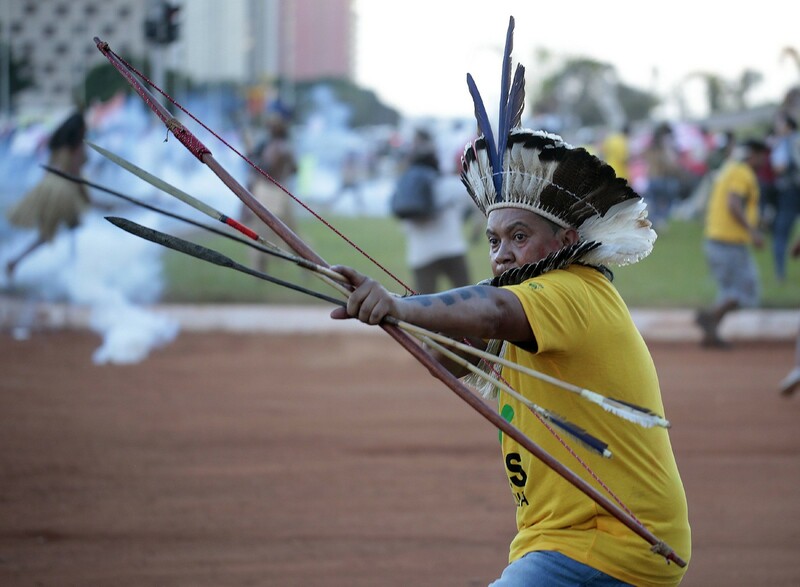 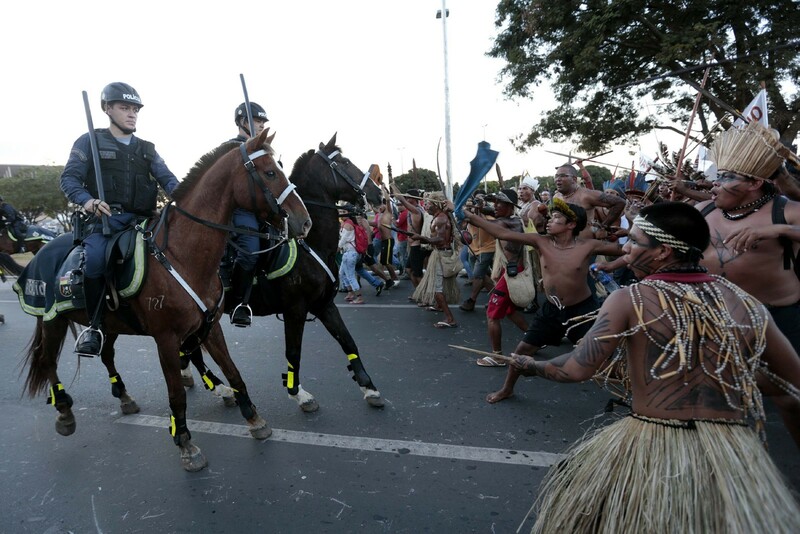 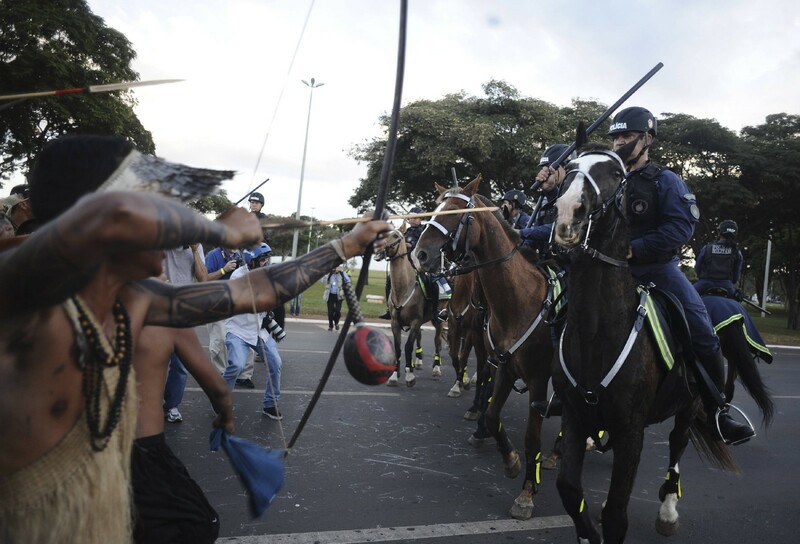 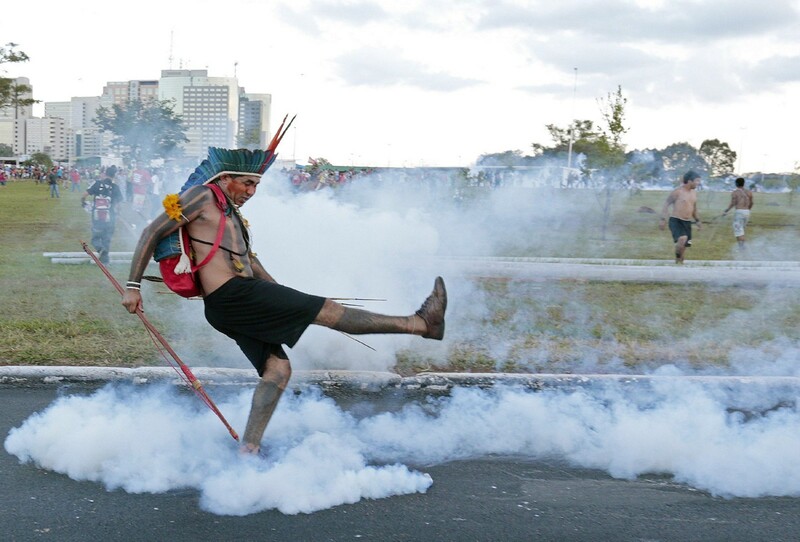 Police confront native Brazilians who protested last month against the costs of the 2014 World Cup. 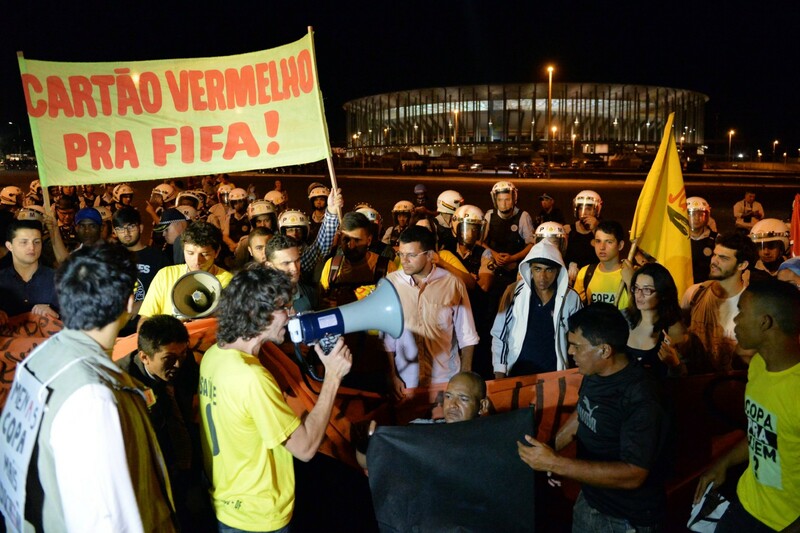 Anti-World Cup demonstrators in front of a major bus terminal in Brasilia. 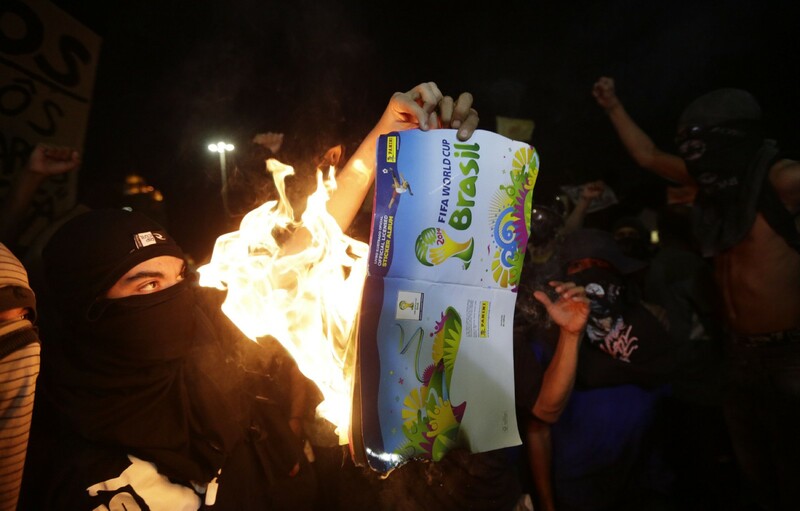 Protesters burn a World Cup sticker album. 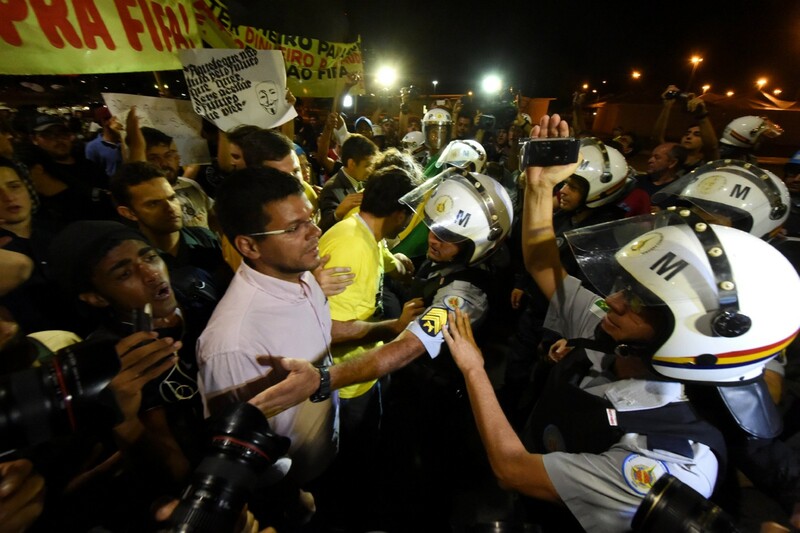 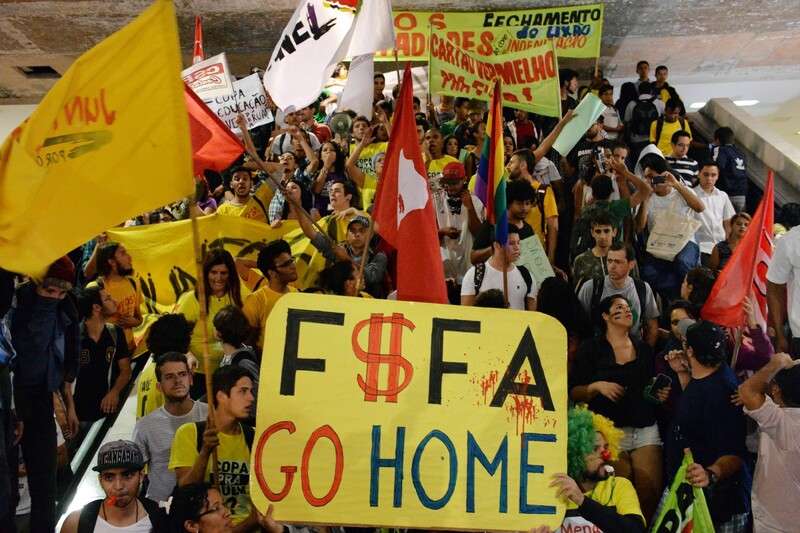 Brazil has been hit by a wave of strikes and protests against the more than S$14 billion being spent on the tournament in a country that desperately needs investment in health, education and transport. 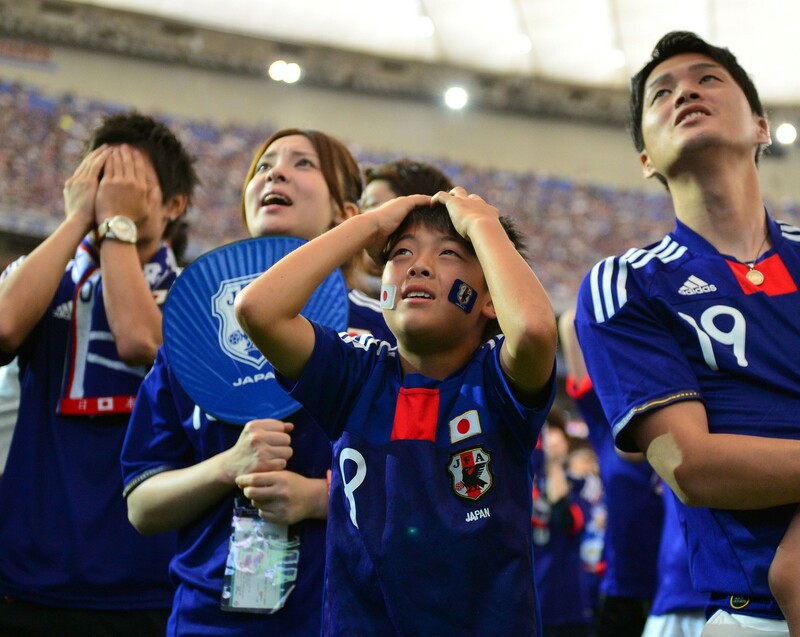 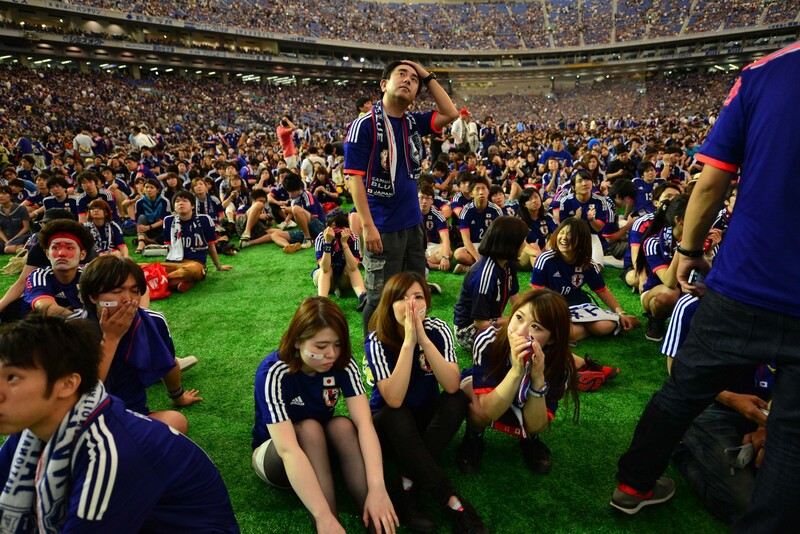 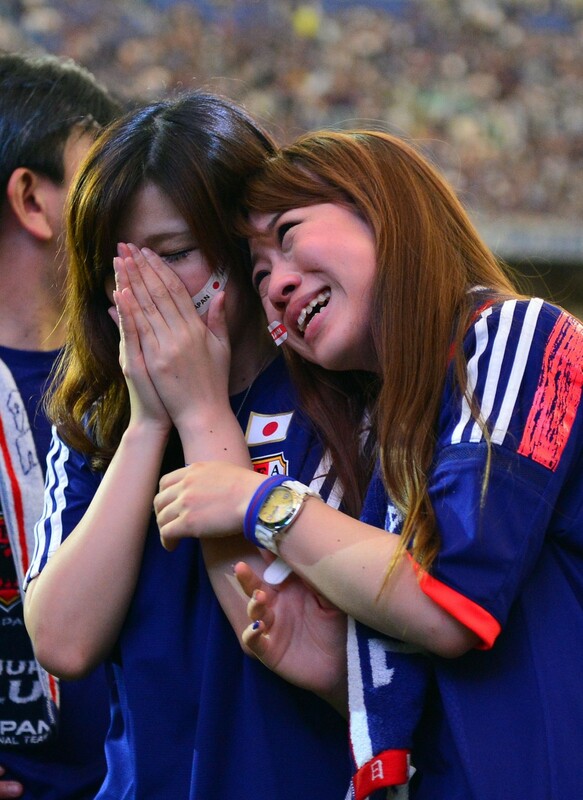 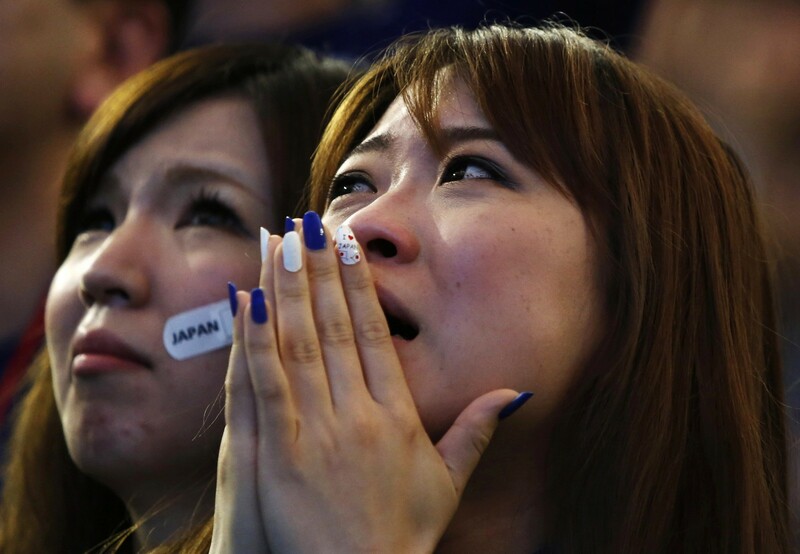 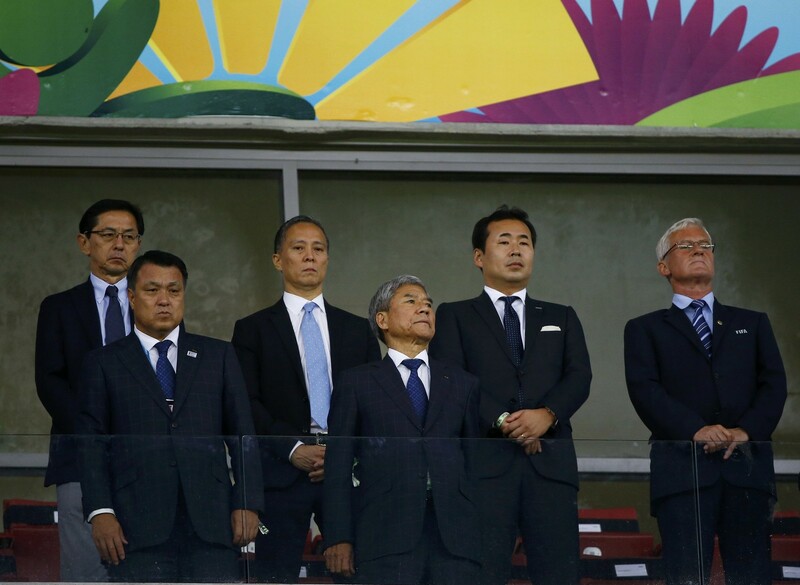 Only two Asian teams qualified for the World Cup 2014 - Japan and South Korea. 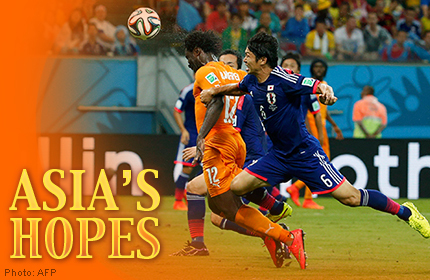 Having co-hosted the World Cup in 2002, both teams have proven time and time again that they are Asia's best. 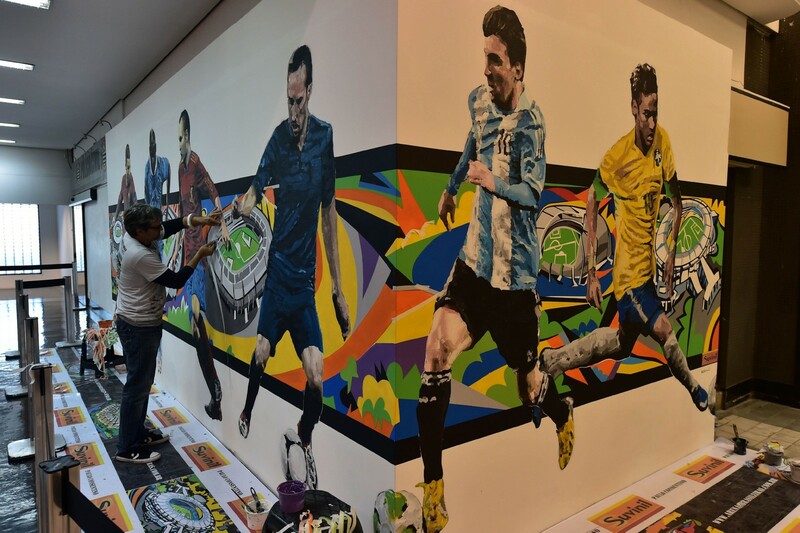 Follow their progress here.